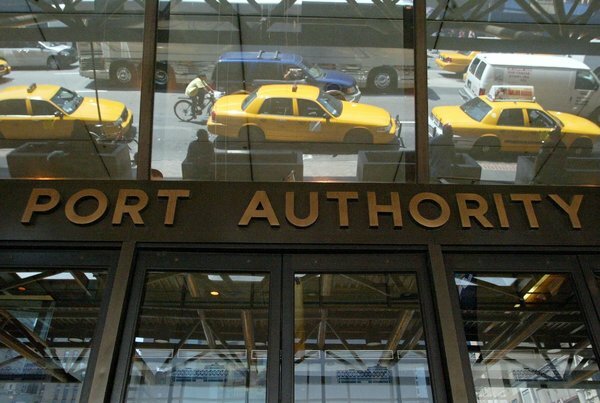 The bill would have remade the operations of the Port Authority of New York and New Jersey. ALBANY — The governors of New York and New Jersey, defying the unanimous votes of both their Legislatures, on Saturday rejected a bill aimed at curbing political interference and patronage at the Port Authority of New York and New Jersey, more than a year after lane closings at the George Washington Bridge set off a scandal that looms over the agency to this day. Because the authority is governed by both New York and New Jersey, approval is needed by both Legislatures to make changes in its structure and operations. On Saturday night, the anger over the governors’ rejection of the bill was felt on both sides of the Hudson River. The veto came as prosecutors continue to investigate the politically motivated lane closings at the bridge last year, a scandal that marred the reputation of Gov. Chris Christie of New Jersey as a rising star in the Republican Party. A bistate agency whose commissioners and top staff members are appointed by the two governors, the authority has vast transportation responsibilities, including several of the region’s airports and major bridges. But it has also faced withering ethical questions over its reputation for rewarding politically connected officials with patronage jobs and allies with lucrative contracts. The legislation vetoed on Saturday would have remade the authority’s daily operations, providing a raft of new financial, ethical and administrative rules, including opening all of its meetings to the public and asking its 12 commissioners to acknowledge that they have a “fiduciary duty” to the Port Authority. The 93-year-old agency has been the target of reformers in the past, who say it lacks essential accountability and needs more public scrutiny. With nearly 7,000 employees and powers over airports, tunnels and real estate, the authority has a budget of $7.8 billion for 2015. In place of the bill, Mr. Cuomo and Mr. Christie on Saturday recommended instead the acceptance of the findings of a special panel the two governors had formed in May. In a joint news release, they outlined a variety of proposals for the authority, including the adoption of a single chief executive and other administrative changes; restructuring its board; a new mission statement; and the creation of a “chief ethics and compliance officer.” The governors — who retain wide powers over the authority — will also request and consider offers of resignation from all of the current commissioners. In addition, the governors announced support for a bill that would apply the Freedom of Information Law to the authority, pending some minor modifications. And though Mr. Gordon said he was grateful that the governors had embraced — in spirit, at least — some of the proposals, he said he was perplexed and disappointed by the veto, which he believed would set back the lawmaking reforms by at least a year. Other supporters, who had hoped the unanimous votes in the states’ Legislatures would convince the governors to accept the changes, said the authority had lagged behind many other New York entities in accepting somewhat commonplace ethical standards. “It is a cynical thing that they would announce their own panel’s reforms while simultaneously vetoing a proposed law that would simply apply existing ethical standards,” said Assemblyman James F. Brennan of Brooklyn, a sponsor of the bill. In recent days, backers of the legislation had become increasingly nervous about it as dual deadlines for Mr. Cuomo, who had to act by Sunday morning, and Mr. Christie approached and neither man showed enthusiasm for the bills. But the veto struck even veterans of Albany politics as exceedingly opaque. The decision to veto comes as both Mr. Cuomo and Mr. Christie face lingering federal inquiries. Mr. Christie is still being investigated regarding the lane closings, while Mr. Cuomo is facing federal scrutiny over his sudden dismantling of the Moreland Commission, a state ethics panel, in March.